The last two weeks my posts have been based on Geoffrey Moore’s model of Core vs. Context, and I don’t feel quite ready to leave it alone yet. Writing these past two posts has really opened a window of introspection for me. How has this model applied to my life? Do I have any evidence that what I’ve written about actually manifests in real life? The answer for me is absolutely! At every major turning point in my life, I can see evidence of Core vs. Context at work. The best example might be the latest, prompted seven years ago when I became a member of the executive team of a substantial organization for the first time in my career. This was what I had been working for. I had reached my pinnacle job. I could now participate in managing something special. What came next surprised me. I wasn’t happy. Two years in I sensed something wrong. So, by the way, did others. Three years in I knew something needed to change so I sought out the help of a coach. Having a coach is a gift, and I would recommend it to anyone who senses a need for change in their life. I learned a lot of things from the process, but the most important for me was that the things that had made me successful to this point in my life were not going to allow me to become who I wanted to be. My core skills in my past roles (critical analysis, productivity, decision-making) had now become context in my new role. They were still mission critical to my success, but they were merely context. This was the biggest role I had ever taken on and I tried to do it the same way I’d always done things. There just weren’t enough hours in the day to be able to handle everything myself. I needed new core skills – listening, coaching, facilitating, defining objectives. I found out that acquiring the new skills is the easy part. The hard part is letting go of what made me successful. There is such a sense of risk attached to letting go. So much so that we often feel compelled to hang onto an uncomfortable but known current situation than to venture into a more compelling but unknown future state. That transition started three and a half years ago and I would have to say is still underway. I feel like I’ve learned my new skills, and that I know how to let go of the old way of being. I do admit that it still feels odd at times, this idea of not actually “doing” much but simply enabling others to do so. In short, it was probably easier to learn and understand where I wanted to go next than to let go of where I was. 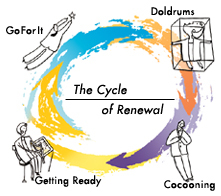 The Hudson Institute of Coaching has an interesting model called “The Cycle of Renewal”. In my last two posts about Core vs. Context this model was always on my mind. In Core vs. Context, previous offerings cycle out of existence at some point, and that didn’t feel right to me personally. I was naturally drawn to the concept of renewal and knew what that had done for me. We start a chapter full of energy and life. We go for it and create something new and wonderful for ourselves. It’s about the plan, the work and growing. After a while we plateau and evaluate where we are at. We feel in the doldrums, maybe stuck in some way. Often, it’s just a minor tweak we need to make and we go for it again. But sometimes we realize we have to let go of what was, but if we do we don’t know where we will end up, so we enter a cocooning phase, where we become introspective and search for a new identity. Eventually we find it, and we find our selves getting ready to renew ourselves. We network, learn, experiment, create. And when it feels right we go for it again. 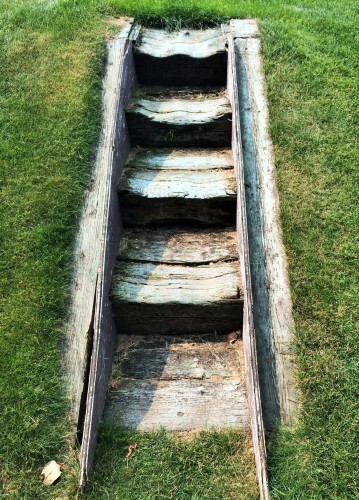 A much clearer path forward! What’s amazing for me now is that these four phases feel quite normal and logical. But if you would have asked me when in I was in the doldrums about it I wouldn’t have had a sense. I just knew I was stuck. Thank goodness I reached out to a coach to help me find my way through it, and I now see that I went through cocooning and am really still getting ready for my next launch to go for it. What I’ve learned about this as a leader is that it is really helpful when I look towards team members with these same eyes. Do I see where they are at? When in the doldrums do I help them discover why they feel stuck, do I give them the room to cocoon and figure out what’s next and do I help them get ready to go for it once again? So often we think of stuck as a flaw. What if we were more like a caterpillar that just knew this was what was supposed to happen and headed straight for a cocoon? What if we let the butterfly loose a little bit sooner? You describe these stages in a business sense and reaching the ‘doldrums’ as a plateau in one’s career, a stagnation of sorts. Equally, however, one can feel thrust into such a scenario after a personal crisis such as a death of a close family member, or divorce, or injury, or diagnosis of a debilitating illness. Those situations can require the same level of ‘cocooning’ and learning new ‘skills’ similar to a career change; albeit the new skills required may be emotional adjustments or perhaps physical rehabilitation such as after an injury. Whatever the case though, I think the model you describe is a useful one for any major life change- personal, physical or professional. Thank you for this line of thinking Elizabeth, and I completely agree with you. These transitions happen both personally and professionally. The are the most significant when they are those that result in a complete change in life’s chapter for us. Oh my gosh Ian, you have no idea how much I need to hear this today – thank you! I love how the simple act of expressing oneself freely can do something good! Me too Ian. I pulled out an old CD the other day and was struck by the following line: You don’t say how you feel in case you’re pushed away. You could move mountains with the words you never say. Wow … powerful! What song is that from? It’s a song called Angelina by Mark Reeves, a Winnipeg native. I found some of his songs online but not Angelina. I saw him perform at the old Chaos bar when it was on 17th Ave. SW I believe I was 28 years old (22 years ago). I bought the CD and just pulled after all those years! Really enjoyed this one Ian! Your ‘do I see where they at” question really resonated with me. I have to admit that I used to think that being stuck IS a flaw. My recent exposure to coaching (being coached that is) have allowed me to see that being stuck is part of growing, part of the cycle. I am using this phase as a tool to learn more about who I am and what my passion is. Love the “What if we were more like a caterpillar that just knew this was what was supposed to happen and headed straight for a cocoon?” question – I think that is such a powerful question! Thanks Johan. 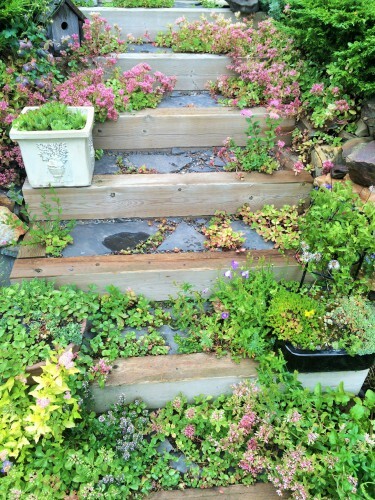 I love your observation that being stuck is a part of growing! There is a story Ian about a man who found a caterpillar cocoon and believing he was helping the butterfly’s development, opening the cocoon for the butterfly. The butterfly was crippled. I love how you describe seeing ourselves like the caterpillar — sometimes the challenge is to be in the cocoon, without judging how long it takes to move through it. And that goes for our teams and those we love. Sometimes, we want to help people hurry through difficult times, believing that if they can just get over it, they’ll feel better. Standing in the broken, staying in the dissonance of unease is part of the cocoon. Thanks Louise. I love the term cocooning. We need to know that we stay until the metamorphosis is complete.